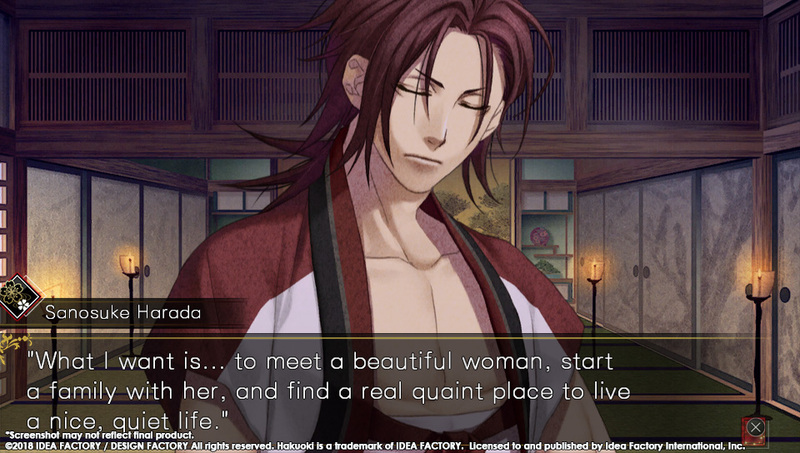 The second half of the enhanced version of Hakuoki is coming to the west. Idea Factory previously announced that Hakuoki: Edo Blossoms will release for PlayStation Vita on March 13 in North America, and on March 16, 2018 in Europe. It’ll pick up where Kyoto Winds left off, and will finish Chizuru’s story. Now they’ve released a new batch of screenshots focusing on two characters: Sanosuke Harada and Hachiro Iba.